Dell definitely captured our attention when it unveiled the new XPS 13 in CES 2015 earlier this year. With its almost borderless QHD+ display, this 13.3-inch laptop has a very minimal footprint, not to mention the fact that it looks very sleek and minimalistic. Is this the best portable Windows laptop released so far? When I first received the XPS 13, i was surprised at how small the packaging was. I was thinking at the back of my head if my order was somehow messed up. When I finally decided to open it up, the laptop was indeed in the box. It’s crazy how small the XPS 13 is for a 13.3-inch laptop, not to mention how good the aluminium casing feels in my hands. That being said, let’s get the elephant in the room out of the way first: the virtually borderless touch display. Dell dubs it “Infinity Display”, and although this is nothing more than a marketing term, it’s a darn impressive display. 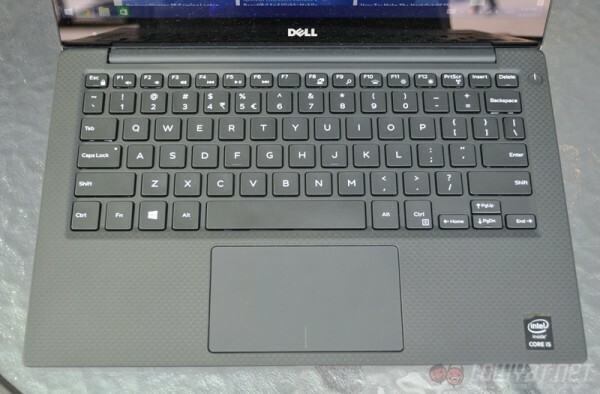 Not only does it look stunning, it also makes it possible to shrink down the size of the laptop, with Dell claiming that it is essentially an “11-inch laptop with a 13.3-inch display.” While we wouldn’t say this is a factual claim, it is smaller than a conventional 13-inch laptop. Did I forget to mention that this insanely thin display is also touch-enabled? Pretty thin display as well. However, the sleek looking display doesn’t come without a price. In order to cut down on the bezel size, the webcam had to be positioned at the bottom left of the display. While this isn’t an issue for me, it is an unconventional design choice that certain consumers will find annoying. 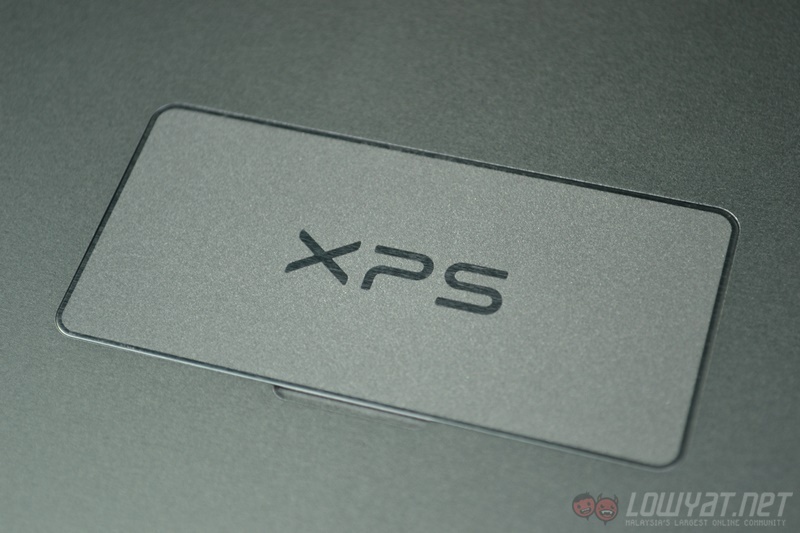 In any case, let’s move on to the other design aspects of the XPS 13. 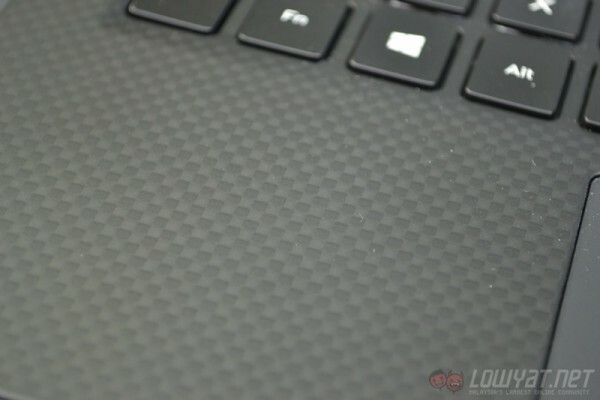 The top and bottom chassis of the laptop are made of aluminium, while the palm rest area is made from a carbon fiber composite with a soft touch coating. These material choices definitely make the XPS 13 look and feel like a premium laptop. 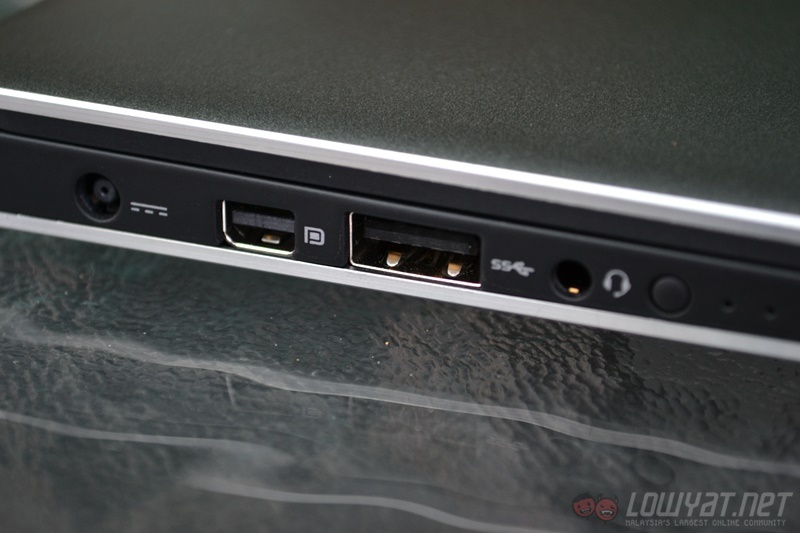 In terms of connectivity, the XPS 13 has only two USB 3.0 ports, a mini DisplayPort, an SD card reader, and a standard 3.5mm headphone jack – standard fare for most Ultrabooks. While this is a reasonable amount of ports, I wish there was at least one more USB port (though it’s not an issue that can’t be solved with a simple USB hub). Measuring 15mm at its thickest point and weighing only 1.26kg, the XPS 13 is definitely portable. While it’s not exactly the thinnest or lightest laptop around (such as the new Macbook Air), you won’t have any trouble tossing it into your bag and carrying it around. So far, the XPS 13 is almost perfect in terms of design, but I do have one issue: I don’t like how stiff the hinge is. Because of this, it is pretty difficult to open the laptop up. I can basically forget about opening it with only one hand, which is a little disappointing considering how the XPS 13 is touted as a premium product. Then again, it does ensure that the screen doesn’t wobble much when it is used as a touch display. Give-and-take, I suppose. 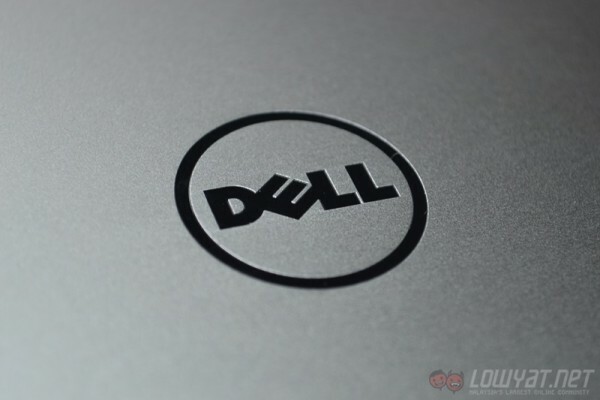 All in all, Dell really designed something exceptional with the XPS 13. 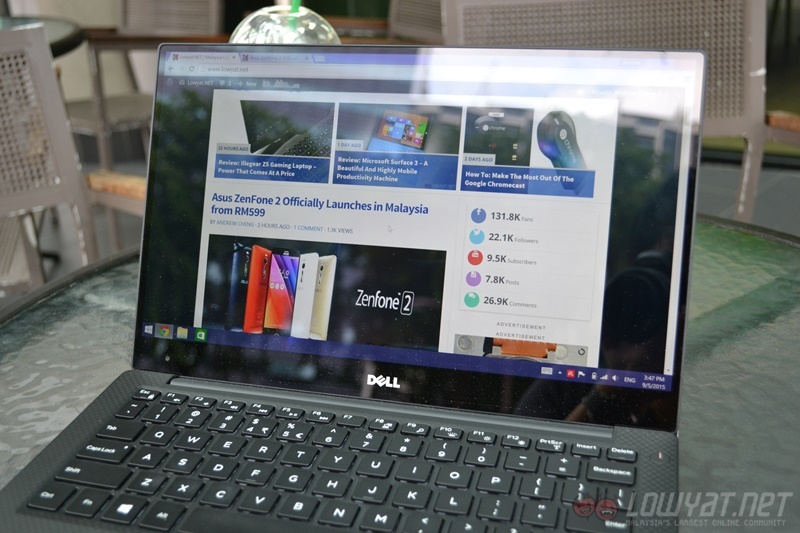 Its almost borderless display is very impressive, and the overall construction of the laptop is excellent – except for the stiff hinge, though others will probably disagree with me (including some of my own colleagues). 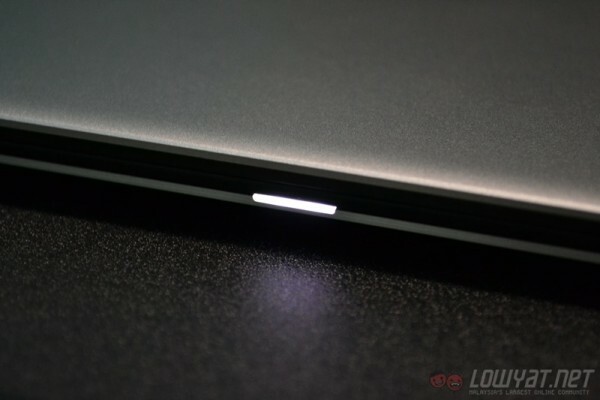 The charging indicator on the bottom lid of the laptop, very nice touch. 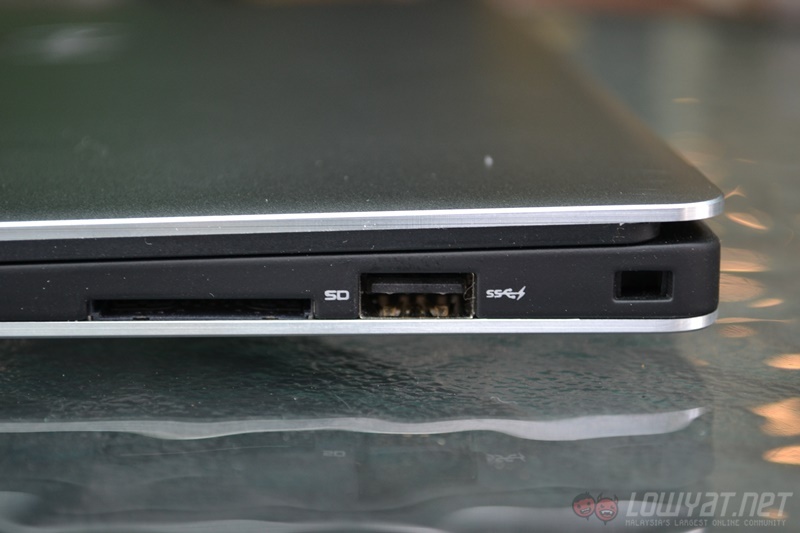 As the XPS 13 is equipped with an SSD, it doesn’t take long to boot up. The touchscreen also proved to be a useful input method for certain tasks, such as web surfing and filtering through pictures. However, the glossy display makes it a tad difficult to work with under the sun. Thankfully, the brightness of the display can be cranked up pretty high; almost to the point of being too bright, but it really does allow you to work under harsh sunlight. The XPS 13 that I own is the “mid-range” model, with a very sharp 3200 x 1800 touch display instead of a 1080p non-touch display. I have to admit: I hate how Windows 8.1’s scaling works with high resolution displays. However, when the scaling works perfectly – and texts are not impossibly small to read – it’s an absolute joy to use. It’s hard to explain in words how satisfying it is to see texts and images in such clarity. But very usable in broad daylight at maximum brightness. 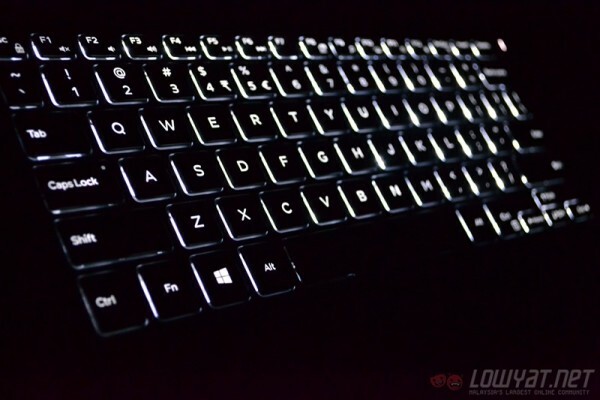 The XPS 13’s keyboard, on the other hand, is pretty average. While I have no issue adjusting to the layout from a mechanical keyboard, the keys do not have much travel to it, giving me a less than satisfactory feeling as I type away. It is, however, quite a silent keyboard to type on, which is nice. While it’s not the best keyboard in the market, I didn’t find it particularly difficult to use for an extended period of time. It’s also backlit, which is useful and adds a touch of finesse as well. The touchpad, however, is slightly wonky. While it tracks my finger adequately, there seems to be a slight delay for the laptop to detect my finger movements. There also appears to be a delay with two-finger scrolling as well, which can be a little frustrating. 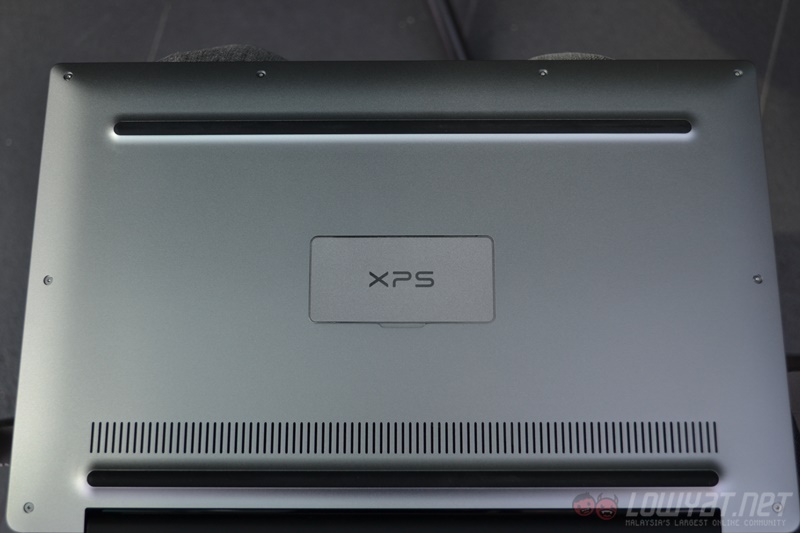 In terms of heat management, there isn’t any noticeable amount of heat on the palm rest area of the XPS 13. 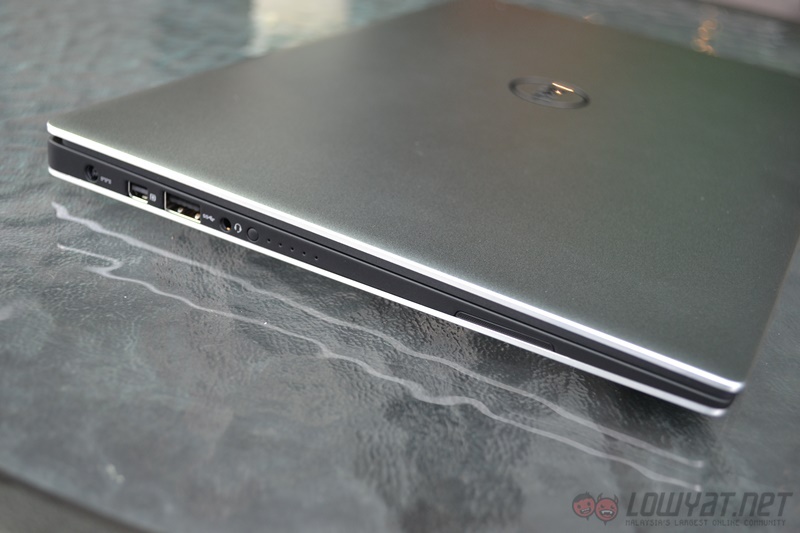 It is also a quiet laptop that only gets noticeably loud when put under heavy load, such as gaming. The audio quality of the XPS 13, however, leaves a lot to be desired. While the side-firing speakers can get pretty loud at maximum volume, they crackle when pushed. If you plan on enjoying some music on the go with this laptop, don’t forget to pack along a pair of earphones. If only the speakers were better. 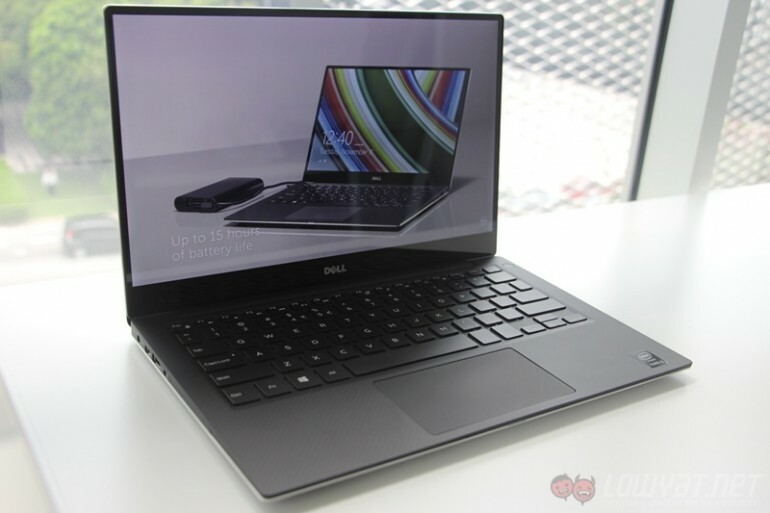 Seeing how the XPS 13 only comes with an Intel Core i5 processor with no dedicated graphics card, it is clearly made for the average consumer who needs a capable productivity laptop; but that doesn’t mean I can’t try to do some gaming on it. As it would be ridiculous to try and run Crysis on this Ultrabook, I ran less graphics-intensive games on it, namely Dota 2 and Counter Strike: Global Offensive. With Dota 2, the XPS 13 runs pretty well with the lowest possible settings at 1080p and 100% render quality. However, when I tried to run it at the same settings but at its native resolution instead, it’s virtually unplayable – not that this comes at a surprise. As for CS:GO, at its lowest settings and with the resolution set to 1920 x 1080, the game runs okay. While I wouldn’t say it is smooth enough to be ideal for more enthusiastic players, it’s more than adequate for an average player such as myself. 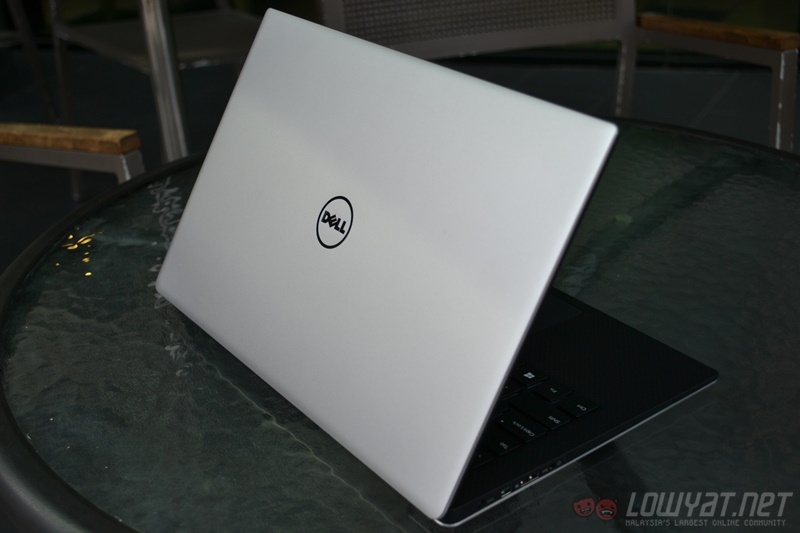 When it comes to using the XPS 13 as a productivity machine, you will not be disappointed. The fast SSD storage ensures that everything opens up without much delay, while the Core i5 processor gives enough power for a seamless experience working with Microsoft Word or web browsing. The XPS 13 does what it is designed to be: an efficient productivity laptop. For the battery test above, I had the XPS 13 running on the high performance power setting, display brightness set to 100%, and the keyboard backlight turned off. The XPS 13 is also continuously connected to WiFi while the test was running. 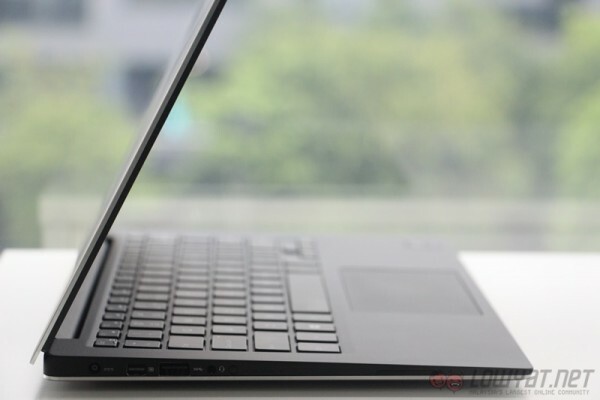 Yes, only three hours of battery life is not exactly good, and judging by other reviews of the XPS 13 (such as the excellent review done by AnandTech), it shouldn’t have such a bad result. 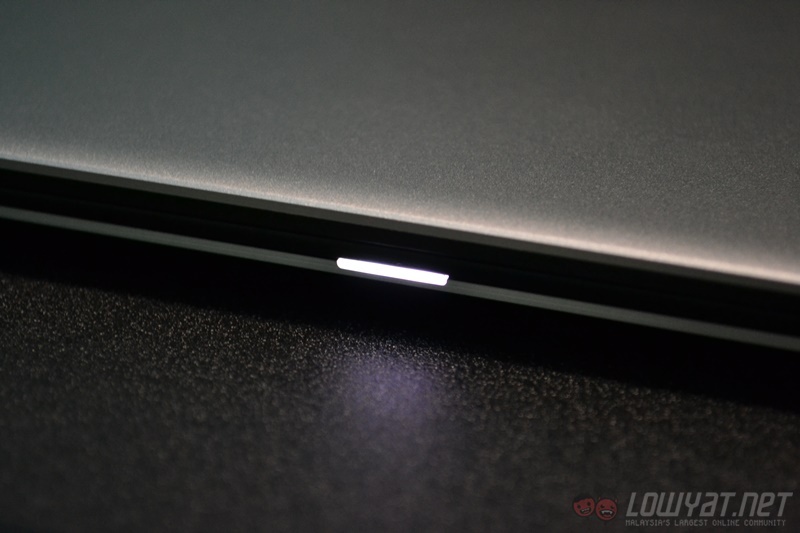 But here’s the thing: the display brightness of the XPS 13 goes up very high. In my real-life testing, I have managed to get about four to five hours of usage before the XPS 13 ran out of juice. The test involved a lot of typing with more than five tabs opened in Chrome at any given time. I also set the power plan to high performance with the display brightness set to about 50%. At full brightness, the XPS 13 is not exactly ideal for indoor usage – that’s how bright the display is. I reckon the XPS 13 can go up to six hours with the power plan set to power saving with an even lower brightness level. The XPS 13 is an excellent laptop, and to me, it is arguably one of the best productivity laptops in the market, but this is only the case if money isn’t a factor. 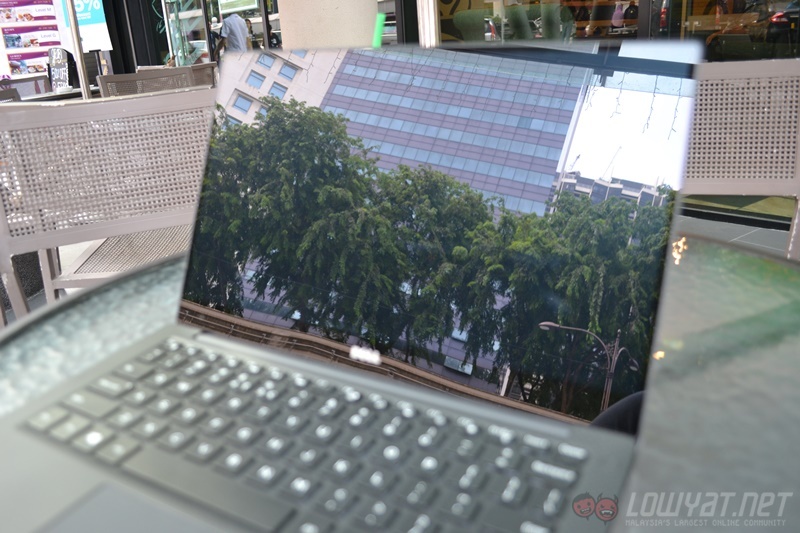 While the XPS 13 starts at RM4,299, this particular variant that I am reviewing with a QHD+ display and an i5 processor costs a whopping RM5,499. Needless to say, this is a hefty price tag, which puts it at an unfavourable position against its competition. As a lightweight and portable productivity machine, the XPS 13’s main competitor is definitely the Microsoft Surface Pro 3. The variant that most closely resembles the XPS 13 that I have in terms of specification is the Intel Core i5 model with 8GB of RAM and a 256GB SSD. Although the Surface Pro 3 is equipped with an older fourth generation i5 processor, it retails at RM4,451 inclusive of GST. Even with the addition of the Surface Pro Type Cover, it only comes up to RM4,930. A price difference of RM569 between it and the XPS 13 is a huge margin. Also, the XPS 13’s bigger and sharper 13.3-inch 276ppi display is superior to the Surface Pro 3’s 12-inch 216ppi display. The XPS 13 is also equipped with a newer CPU and a somewhat more capable integrated graphics, which should theoretically make it a better productivity machine. However, as the Surface Pro 3 is after all a tablet, it is smaller than the XPS 13 (292.1 x 201.4 x 9.1 mm vs 304 x 200 x 15 mm). Other than that, the Surface Pro 3 comes with a stylus while the XPS 13 has none. Depending on the consumer, this may not matter much, but it does give the Pro 3 an edge over Dell’s offering. At the end of the day, the determining factor of which device is better comes down to user’s preference. The XPS 13 has a sharper display which is virtually borderless, while the Surface Pro 3 retails at a lower price and comes with a stylus. However, if we were to compare the cheapest XPS 13 with the Surface Pro 3, it’s a different story. The RM4,299 XPS 13 only comes with a 1080p non-touch display, 4GB of RAM and a 128GB SSD. 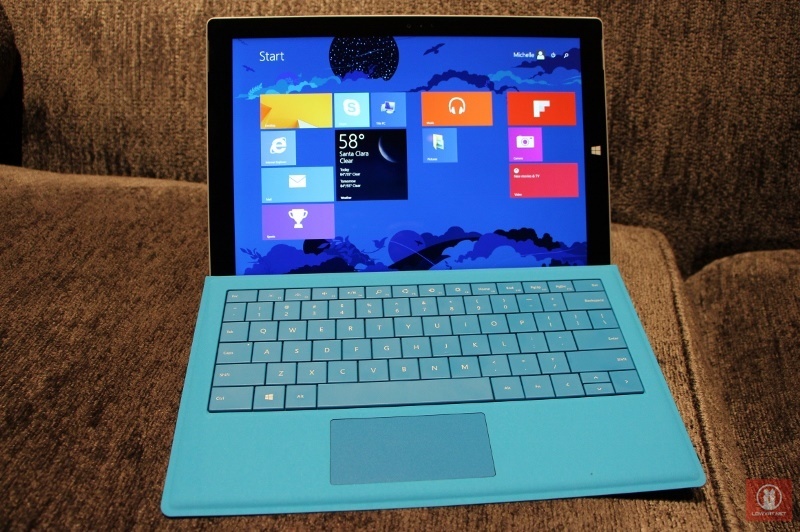 In that case, the RM4,188 Surface Pro 3 (with Type Cover included) is arguably the better buy. 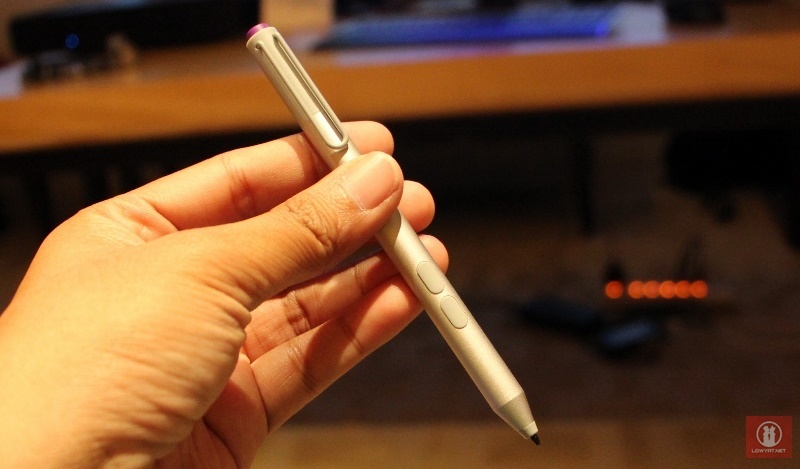 Sure, it also has 4GB of RAM and a 128GB SSD, but it has a sharper 12-inch 216ppi touch display, not to mention a stylus as well. 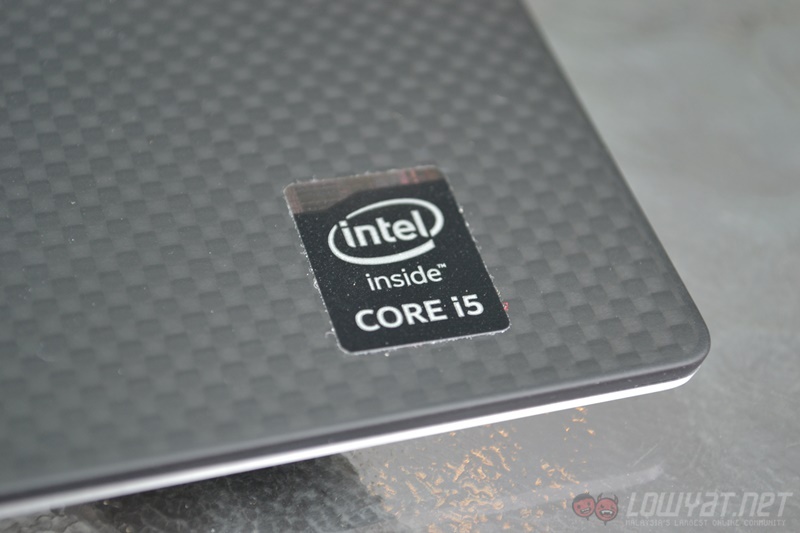 That being said, the XPS 13 should be a faster machine as it is equipped with a newer and more power-efficient fifth generation Core i5 processor, but it’s probably a minimal difference. Other than the Surface Pro 3, we can’t talk about a good productivity machine without mentioning the Apple MacBook Air as well. In terms of dimension, the XPS 13 is actually closer to the 11-inch MacBook Air rather than the 13.3-inch model. 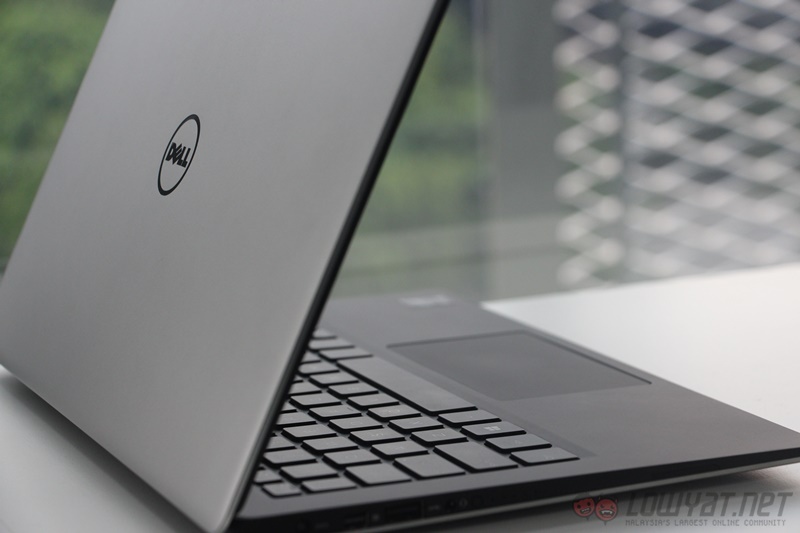 Interestingly, even when both models are customised to be equipped with a faster Core i7 processor, 8GB of RAM, and a speedy 256GB PCIe SSD, they are cheaper than the Dell XPS 13 in this review, which is saying a lot. 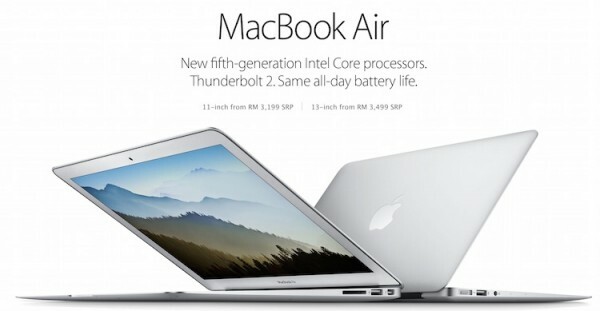 The 11-inch MacBook Air *only* comes up to RM4,927, while the 13-inch model racks up to RM5,351. But the XPS 13 does offer what both models of the MacBook Air lacks: a sharper and sexier almost borderless touch display – I know, I can’t stop talking about it. Performance-wise (for the money), the MacBook Airs win, but their displays are not even comparable to the XPS 13’s gorgeous display. 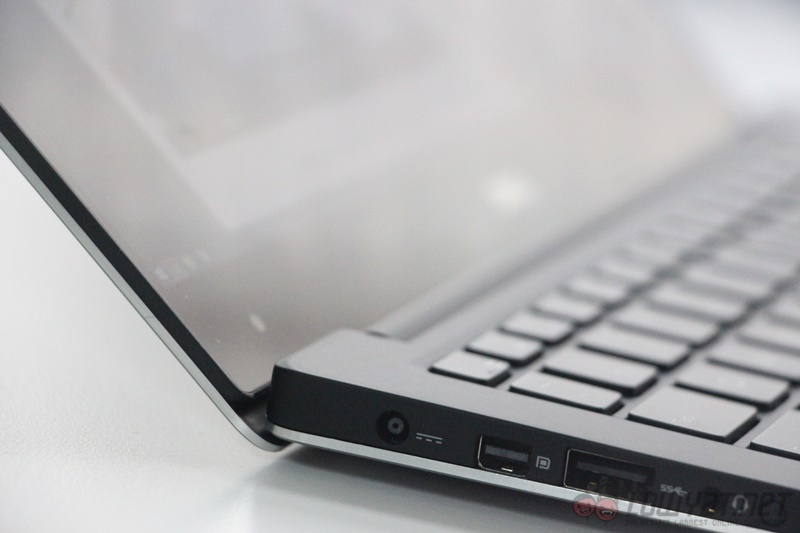 It is also smaller than the 13.3-inch MacBook Air (304 x 200 x 15 mm vs 325 x 227 x 17 mm). That’s quite a difference. 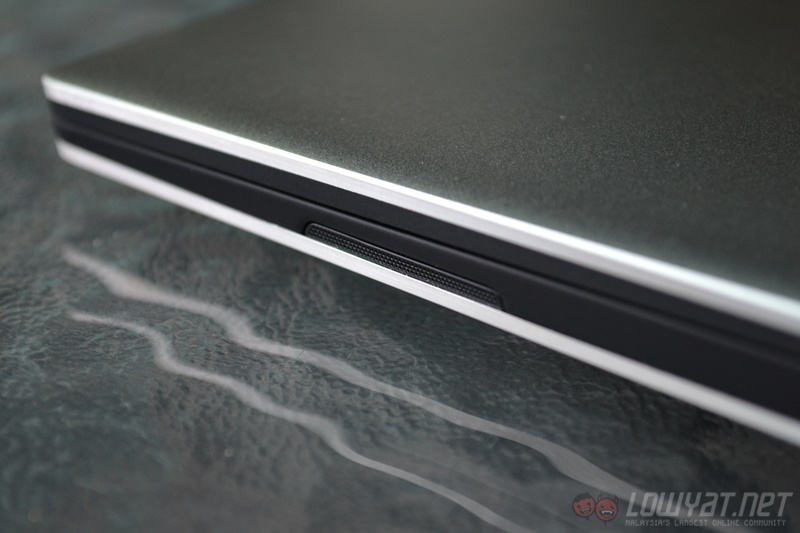 There is also a noteworthy competitor to the XPS 13, especially in terms of display: the Lenovo Yoga 3 Pro. 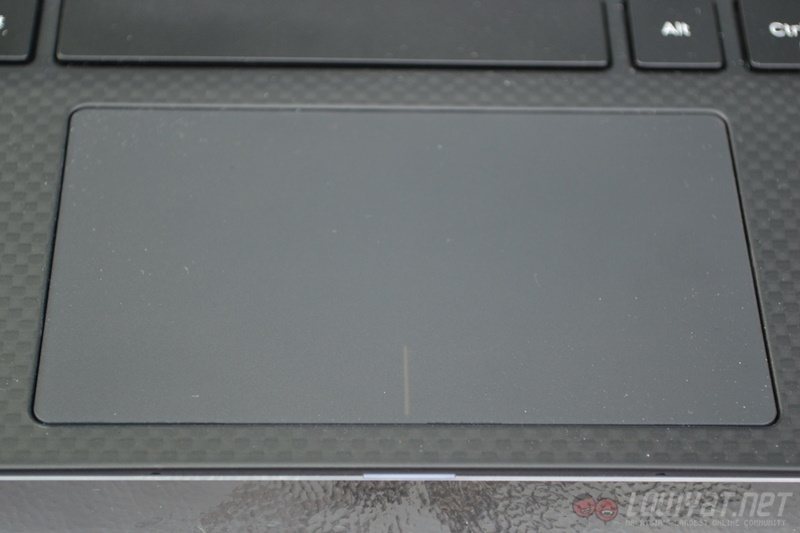 Other than having a 13.3-inch 3200 x 1800 touch display that is as good as the XPS 13’s display, it is also ridiculously thin at 12.8mm in comparison to the XPS 13’s 15mm thickness. 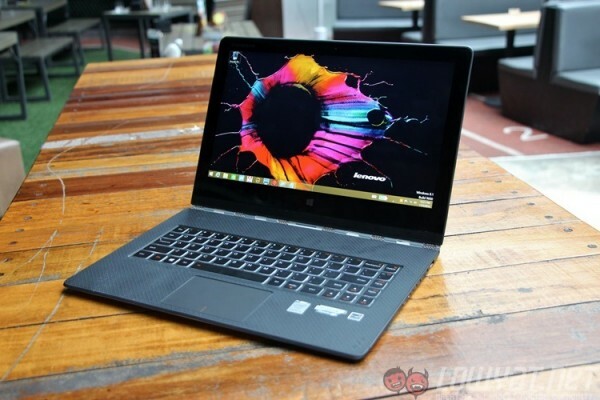 However, while it does seem like a promising contender, the Yoga 3 Pro is powered by an Intel Core M processor, which simply loses in terms of raw processing power to the XPS 13’s core i5 processor. That being said, the Yoga 3 Pro is a convertible, giving it the flexibility of switching between tablet and laptop mode. It is also cheaper at RM5,199, not to mention the fact that it also comes with a huge 512GB SSD. The Dell XPS 13 is a sleek and wonderfully crafted laptop. 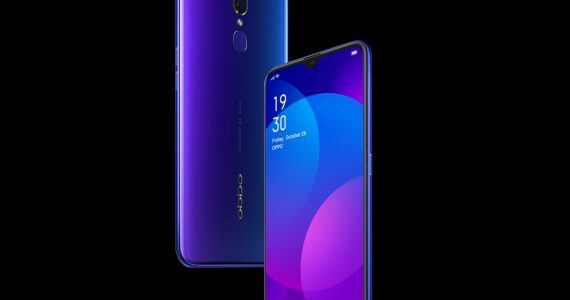 Its virtually borderless display is a sight to behold, and its overall build quality and performance is no slouch, either. The only downside is its rather high asking price that might deter a lot of potential buyers. 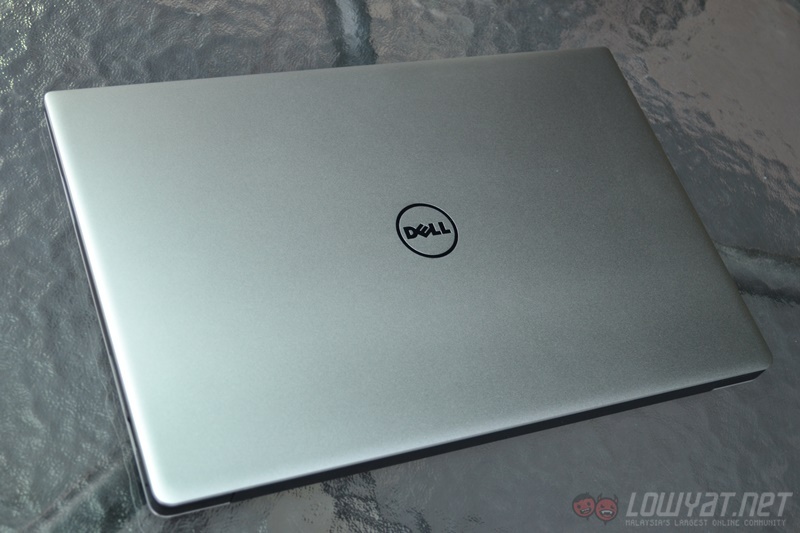 To be honest, I only got myself the XPS 13 because I was offered a ridiculously good price for it by a local reseller. 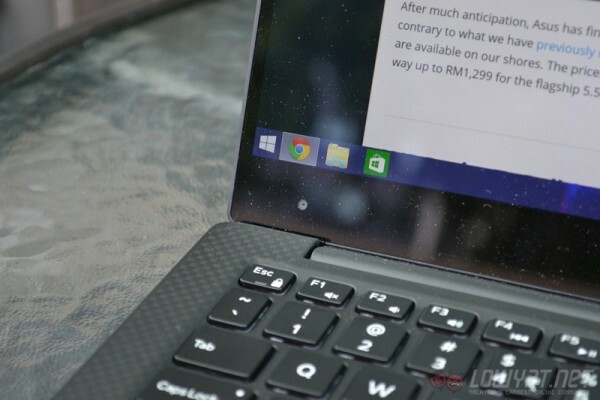 If I were to fork out RM5,499 for it, I would definitely not be writing this review on my XPS 13. With that kind of money, there are a lot of other alternatives to choose from, such as the aforementioned Microsoft Surface Pro 3, Apple MacBook Airs and the Lenovo Yoga 3 Pro. That being said, if money isn’t an issue, I will not hesitate to recommend the XPS 13 to any potential buyer. It’s a compact, lightweight productivity machine with a display that is absolutely gorgeous. It’s a shame Dell had to price it so high, or it could easily have been the best consumer-level productivity machine you can get today. The Big Debate: microSD Card Slots in Smartphones - Do You Really Need Them?